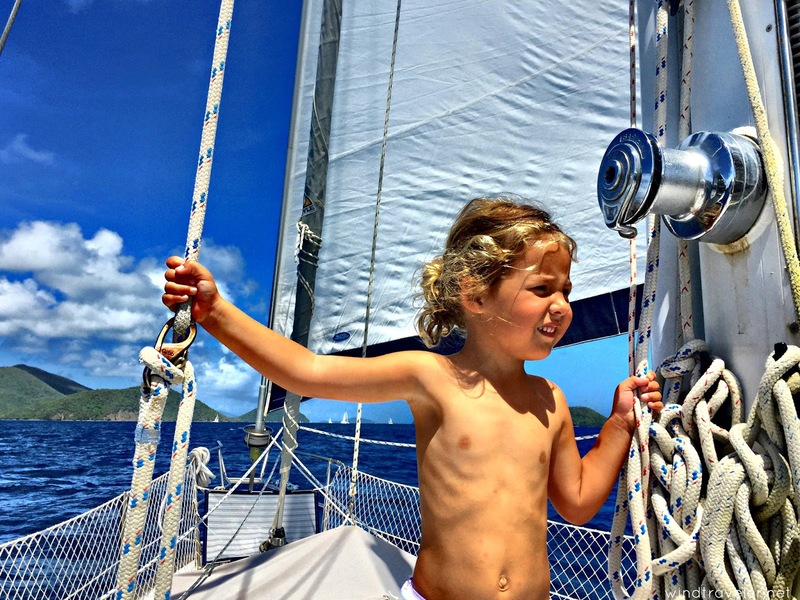 Windtraveler: Living Afloat with Littles: Is Raising Toddlers Harder on a Boat? Living Afloat with Littles: Is Raising Toddlers Harder on a Boat? Lack of Space: Captain Obvious here! We live in a two "bedroom" boat that is slightly larger than an average sized RV. At forty-four feet, >>our boat<< is by no means "small" for a cruising monohull (in fact it is pretty average), but a) most cruisers are couples and not families and b) our livable square footage is actually less than an average home's living room. It's...cozy. Our twins share a room (and to call it a 'room' is laughable) and Isla sleeps in >>a make-shift bunk bed we created in our walk-thru<< to the aft cabin. We have almost zero privacy and no doors except for those on the twins' room and our bathrooms. Our communal living space is halved when we raise up our (folding) dining table and if we are all aboard, we are - quite literally - tripping over each other. 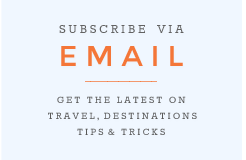 Hosting out of town guests? Forget about it, we simply do not have the space. This is where they play most of the time. Note that if I need to go to the bathroom, galley, nav station or cockpit I must step over children. Fewer Amenities: We don't have a microwave, a dishwasher, or a washer/dryer. We have no television. Storage space is hugely truncated as well; we don't have a large pantry, closets or spacious cupboards to store food and gear and instead rely on awkward spaces behind cushions and under floorboards to squirrel things away. Our refrigerator is a glamorized cooler and the act of packing and unpacking it requires a zen level of patience and serious Tetris skills (neither of which I possess). We have no adequate indoor bathtub or shower, and thus must bathe and shower outside on deck or walk to the marina showers a few docks down (not always realistic or convenient with three little kids in tow!) All of these things make day to day living just a little bit harder. No Dedicated Play Area: Most homes have a dedicated play space for their kids, it might be a basement, a child's bedroom, a playroom or a back yard. In this area toys rule the roost and kids are usually free to make a mess at their will, play safely, and - in most cases - out of their parent's way. We do not have this luxury. There is no dedicated area for the kids to play on our boat, they play in the salon which also is our dining room, living room, office and recreation room - meaning to get from point A to point B at any given time, I usually have to step over an array of play things and a child or two. There is literally no escape! Our table which does duty as our craft area, stage, fort (underneath) and also happens to halve our salon space. No Personal/Entertainment Space: Personal space? What's that? Pile on's aren't the exception, they are the rule on our boat! Joking aside, we are more or less a "one room" house and getting away from one another is pretty much impossible on our boat. It's very easy to get overwhelmed when the girls are fighting and there's only one place to put them - or me - in a time out, and our very close proximity (and the fact that we have two year old twins!) means things go from cool to crazy very quickly (and by "crazy" I mean bat-sh*t crazy!) We rarely host play dates because our three girls alone fill the space and any more kids just gets nuts, and having friends over for dinner is almost impossible with sleeping children around. We also run a >>very busy day charter business<< and Scott does all the admin for that...when he needs our boat to double as his 'office' during the day, the girls and I must make ourselves scarce because it's impossible, literally impossible, to work alongside three very active little girls in a small space. Yeah, attempting to get work done with three toddlers in a communal living space is pretty futile. Safety: Ah, the issue of safety. By nature I am not a helicopter mom, but a boat floats which means we are surrounded by potential hazard and I cannot give them the freedoms I would if we lived on land. Of course we have >>taken every precaution to keep our girls safe<<, just as any parent would, but, unlike a parent who can feel safe letting their kids run free in their fenced-in back yard, we do not have that luxury. If our girls are on deck, they must be monitored. Until >>they can all swim adequately<< this will be an ever-present issue and it just goes with the territory. And can we talk about getting all three of them on and off the boat?! Phew! It's like getting three kids in and out of carseats...but harder. Lifting three toddlers on and off a boat 3-4 times a day? That's a CrossFit workout right there! She climbs up here by herself. She's two. Our adventurous kids keep us on our toes! The challenges are there and they are real. There are times when an extra bedroom, an office, a comfy couch in front of a flat-screen t.v, a playroom, locking doors, a garage and a backyard would be positively lovely. Family bonding: Our girls are never more than ten feet from my person, so I always know what is going on and simply being close to them means I am always there. This might not seem like a big deal, but our close proximity to each other day in and day out is fostering strong familial bonds as a direct result of this togetherness. So. Much. Snuggling! Our girls are sisters, playmates, and bunkmates and are leaning >>valuable lessons<< in side-by-side playing, personal space, cooperation, respect for another's space and conflict resolution because of this. Being so close in age means they often play with the same toys exacerbating these lessons and life skills. Of course this closeness also results in epic cat-fights, tantrums and ear-piercing meltdowns, but - hey - they are laying some pretty solid ground work and it is my belief that, in the long run, being physically close as a family will result in emotional close-ness later on (>>crosses fingers<<). Grainy pic, but this is a pretty standard morning shot. We all pile into mommy and daddy's bed and cuddle. This is a game they love to play. I'm not sure what it is, but they set up chairs with pillows and blankets, and sit there. Less stuff : The >>benefits of owning less stuff are vast<<. While we are by no means 'minimalists', the simple act of living on a forty-four foot boat means we have less than most because we simply have less room. This goes for toys as well. Having fewer toys means our girls are more imaginative with >>what they do have<<, and I believe that this has honed their self-entertainment skills and creative ability. They can quietly sit alongside each other and play - together or alone - for long stretches of time with the toys that they have and when those get old, their imaginations start to soar. Pillows, blankets and the most mundane things become forts, gowns and spaceships. Watching them play together is such a joy for me. And while we do watch the occasional movie on our computer, and I certainly see the value of utilizing the iPad from time to time, we do not have television and I strongly believe that limiting screen time has also helped foster their ability to self-entertain and be creative with play, and each other. Their sisterly bond and friendship is something that is very important for me to help cultivate if I can. Multicultural Experience: We live on a very small island where a multitude of nationalities reside. Every day our girls interact with Dominicans, Puerto Ricans, Jamaicans, British, French, Guyanese...the list goes on. Living at a vibrant and very popular marina means they meet new people - and hear a litany of dialects and accents - every day. They greet the lawn workers with the same respect as the general manager and every week, they share the swimming pool with local islanders with mental and physical disabilities ranging from downs syndrome to autism. Our marina is a magnet for young people - local and expat - and our girls play with kids of all ages regardless of social class or skin color. This sort of exposure is helping shape their world view and, hopefully, helping to create more worldly, tolerant and compassionate people. Our resident coconut man, we love him! Each time we see him we get water nuts, fruit and hugs! Safety: I mentioned the fact that being surrounded by water is a safety concern, and it is. But in many ways I feel safer on our boat with our girls than I do in most homes. Boats, by nature, are actually pretty child-proof. All cupboards on a boat are self-locking which means our girls can rarely get into places they aren't supposed to, so the fear of them getting into cleaning supplies or medicines is highly unlikely. Furthermore, our girls are bonafide monkey's who love to climb and test their limits (a skill and curiosity I fully encourage and rarely dissuade), and - on a boat - there's no chance of a television, dresser or armoire toppling over on them. And, again, the fact that they are never more than ten feet from my person means whatever trouble they can get into, is often discovered very quickly. She is our resident Denis the Menace. Her spirit is wild and her mind fearless. She is awesome. Outside Everyday: Living in a (relatively) small sailboat forces us outdoors a lot more than we probably would be if we lived in a house and had more space. More time outdoors means more time in nature, more vitamin D, more interacting with the natural environment, socializing with our community and neighbors, and more time swimming, running, digging and playing. >>All good stuff<<, for sure! I never feel isolated as a "stay on boat" mom because all I need to do is get off the boat and walk the dock for a moment before I can talk to a fellow mom, vacationer, cruiser or friend. What we lack in organized structures like museums, play parks, and activity centers (because there are not many of those things here!) we get in nature. We have our choice of beaches to explore, islands to visit, and water activities to indulge in and we love that. We spend our days playing and not rushing from organized activity to organized activity. Instead of constantly being entertained, our girls are learning to entertain themselves. Trying to find indoor pictures for this post was hard because 95% of our waking hours are spent OUTSIDE! Community: This has more to do with where we live on our boat than the fact that we live on a boat, but - still - it's worth noting. As I mentioned above, living "small" means we get out a lot more. Our girls live in a "neighborhood" (marina) where we know just about everyone, by name, and each day our kids are hugged, greeted and held by a whole slew of familiar faces from the maintenance men to taxi drivers to the restaurant waitstaff. Everyone has an eye on our girls and we all help one another out. Islanders live and understand the "village mentality" which is really refreshing, particularly for parents like us who have >>"free rage" tendencies<<. The restaurant staff will tell my kids to behave and the dock assistant will grab a child that's run too far from me and bring her back with a smile. We have neighborhood kids as babysitters and to summon them all I need to do is walk around the docks and find them. Our girls join us at happy hour where they are greeted by all our friends and every Friday we enjoy a giant beach BBQ with fellow islanders and marina guests. It's awesome. The bottom line, and one that I have preached many times on this blog, is that little children are completely adaptable and as long as the parents can adjust (and this here is the tricker part! ), living on a boat is very do-able with kids. Some things will be easier than you expect, some will be tougher - but one thing is certain, parenting is hard work no matter where you are. You will need to find your own groove, develop your own systems and do what works for you. This lifestyle is most certainly not for everyone and while it works very well for us and our family (most of the time...), there are just as many people who wouldn't last a week living like we do. Some people thrive living in a city, some prefer suburbs, others find peace in rural areas and we happen to live on an island. There are families that live in busses, cars, tents and yurts...Whether or not a certain lifestyle 'works' and is 'easy' really depends on the person and, pun intended, what floats their boat. Shirtless, dirty, and swinging fearlessly from a rope on a tree. As it should be! Me? I wouldn't change how we live for the world. If I had a dime for each time I heard, "What a fantastic way to grow up!" I'd have that three cabin monohull we've been eyeing. And I completely agree! We thrive on the living with less and I believe our unconventional lifestyle is doing incredible things for our girls in these very formative years. We have less in many ways, but in others we have so much more. Each challenge is an incubator for thought, growth, and integrity. There are many >>side effects to the way we live<<, and most of them are positive. Is is harder? A little. Is it worth it? Totally. * Big thank you to Facebook follower, Chris Wick, for asking this question and inspiring this post! Great article and very sweet photos. Before we started cruising I thought little kids + boats = disaster, but am constantly amazed at how many liveaboard families there are. Very inspiring! What an awesome post! Hope we follow on your footsteps soon... best regards from Poland! What an awesome perspective... I never thought about what it would be like to grow up on a boat... or how it would be such a tight space. Brilliant! The one thing you don't touch on is how difficult it is to keep clothes on kids in warm climates! My kiddo would be a full time nudist at 8 if possible! Looks like yours may be the same! Awesome blog and a great lifestyle that I think most will be jealous of. I really love this blog! My boyfriend and I live in a 44 feet Beneteau Oceanis in Norway. 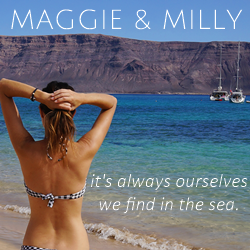 I started reading this blog when we first started to talk about buying a sailboat together. The sailboat's name is Njord and we moved in in the middle of march this year, so it's all pretty new for me. My boyfriend lived for three years in a 35 feet Hallberg-Rassy before i met him, so he is a little more used to this boat life than I am. 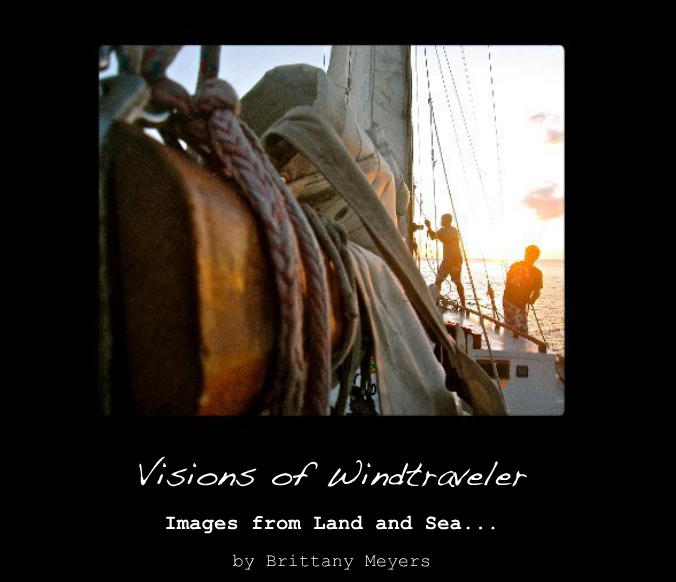 Anyway, I started to read this blog so that i could get a picture of what it would be like to live in a sailboat. My dream is to have my first kids raised in the sailboat, maybe travel around the world. Time will show :) Right now I am living in the sailboat all alone on an island while my boyfriend is on a sailtrip with his friend from Gran Canaria to Norway. I don't think I have commented on your blog before, but I have read it many times. You seem very devoted to your family, both in the islands and back in the states. I am sure it sounds corny, but for kids it all comes down to mom and the love she gives. Nothing else matters as much as that. You seem to have it figured out! My wife and I raised 3 kids to productive happy adults so I guess I am qualified to comment on kid raising. All of our kids sail, and they all spent weeks of vacation on a boat growing up. Life on a sailboat seems low impact and really green living. Seems to work fine. But they may outgrow that space. Great blog. Great family - you will have interesting kids who grow up into amazing people. Sounds like a life extremely well lived. Would love to take that leap. "Yeah, attempting to get work done with three toddlers in a communal living space is pretty futile." Hey There, I wonder can you give me some advise. Myself and my partner are sailing all our lives but now we have a little 18 month old and just bought our own cruiser. I am trying to find a suitable highchair that we can use below on a lumpy sea journey... what did you use for your kids ? Great post with valuable points. Though, I would like to appreciate your both hard and smart work and you showed us how it is possible to do it. Thanks . By the way I wish you Pohela Boishakh 2018 in advance. Also visit here for latest collection of Bengali New Year 2018 for New Year celebration. Thanks again. Really very useful and important post. Thanks for share. Extraordinary things you've generally imparted to us. Simply continue written work this sort of posts. The time which was squandered in going for educational cost now it can be utilized for studies. By the way SSC Routine 2019 Bangladesh Education board available here to download. Thanks for share. Very informative post. I think you published the article just for help us. so thanks for share the valuable post.